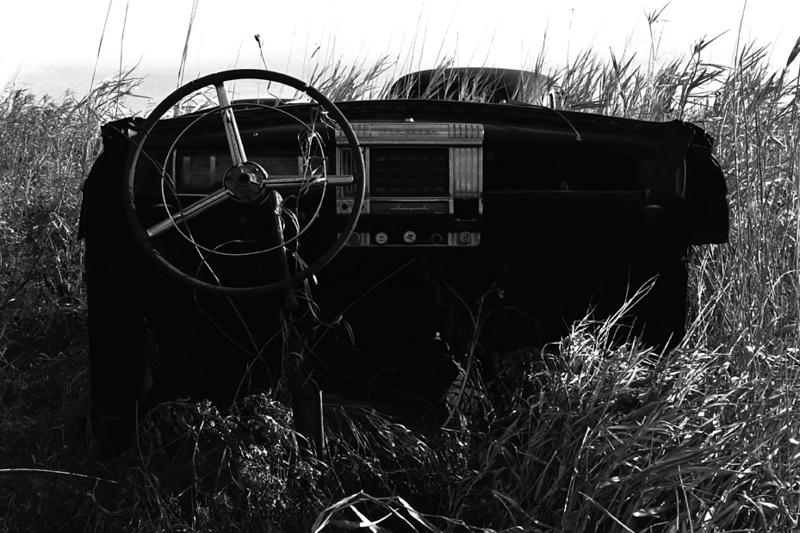 One of my favorite & seemingly obscure photographs is “At a Dash.” About a mile or so back behind a large abandoned farm in the back roads of North Dakota is a swamp. In this swamp is an almost apocalyptic scene of old abandoned cars from the 1950’s. Like a scene from a movie, these cars are all overgrown in North Dakota tall grass with their only visitors being me and the elements. In some ways time has stood very still here, a real testament to these old machines.